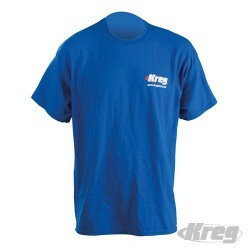 Heavy-weight 100% cotton T-shirt with Kreg branding. Blue with short sleeves. 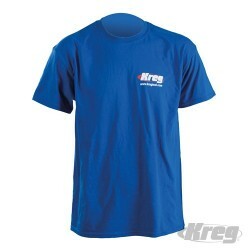 Kreg logo printed on front and Drill. Drive. Done! inscription on back. Ideal for Kreg tools users.